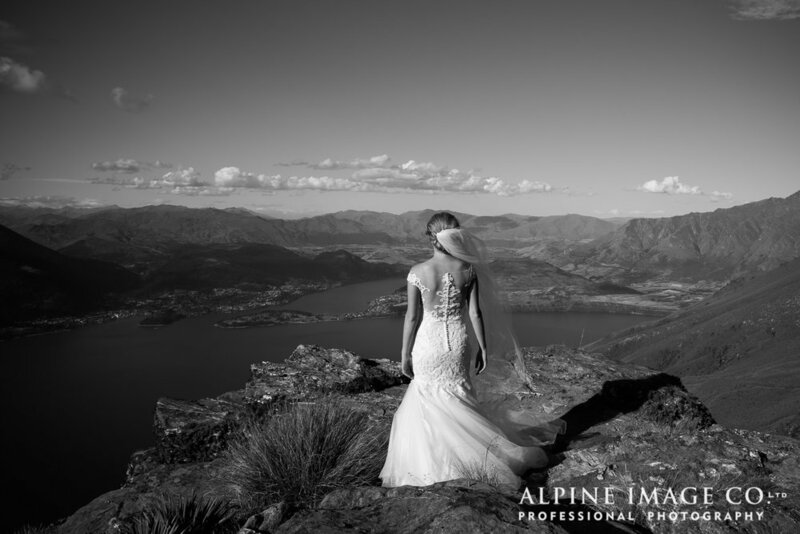 Hannah & her fiance chose to have a small intimate wedding on the wharf at the Wakatipu Yacht Club. 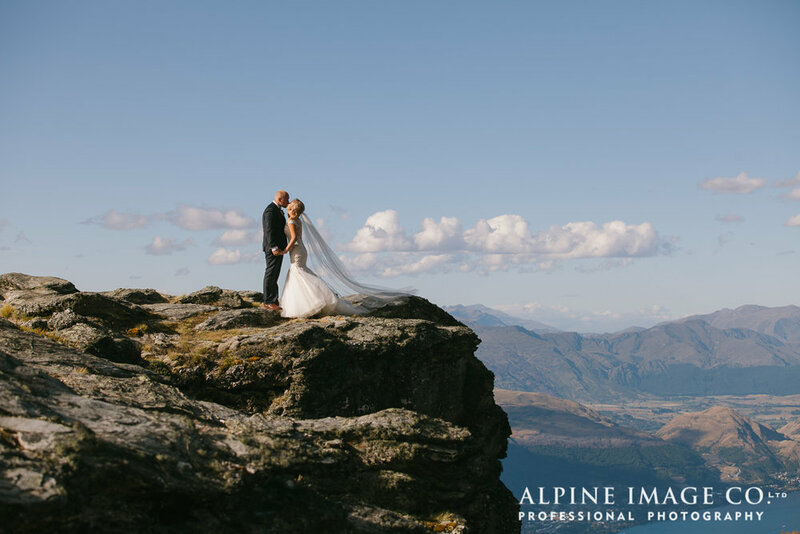 The location of the ceremony was only chosen on the day - and what a choice! The was no wedding party, no decorations and no cake - so also no stress for the couple. But we are happy to report Hannah still went for a gorgeous gown fit for any wedding - small or large. After some pictures at the Yacht club is was off in the helicopter to the most gorgeous Cecil Peak.